Happy New Year everyone!! Yet another flies by. I was back in Australia over Christmas and was rummaging through some of my old stuff and found this photo which I took back when I was finishing high school. 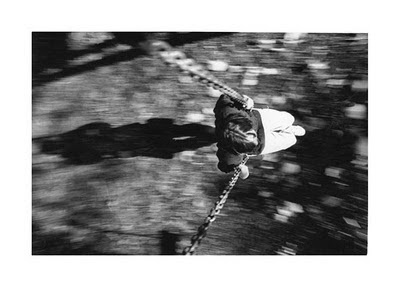 I thought it might be interesting to put up as i remember having to climb on top of the swing, have the shutter speed on a slow setting and pan with the girl as she was moving. It took about 20 shots I think until I finally got one where she was in focus and the background was blurred. Having said that, I shot it with film so I had no idea whether it had worked or not until I developed it. I think I got lucky in the end and it turned out quite ok.